Bring your best skills and your sharpest reflexes to the Arcade at In The Swing! Whether you like to dance, drive, or aim, you can'thelp but have fun in their clean and updated Video Room. Our token operated games will entertain and challenge you as well. Rock-n-Bowl with lights, music, trivia and more every Saturday night 10pm - 3am. DJ and lights every Saturday night from 10pm – Midnight. Cosmic Bowling with DJ and lights every Saturday night from 10:30pm - 1am. 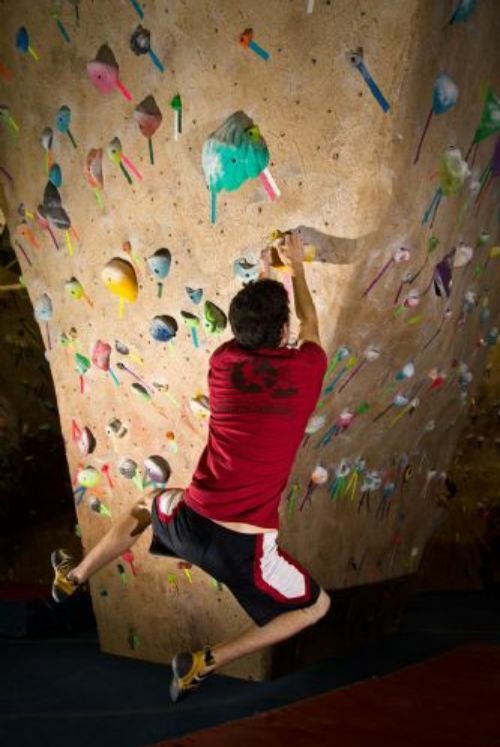 Facilities include a 13,000 Square Feet of Rock Climbing, including: arêtes, overhangs, archives, slabs and more! 8 a.m. to 10 p.m. daily. $7, children $5. 6 a.m. to 11 p.m. daily. $6, children under 12 $5. A $10 deposit or photo ID is required. Noon to 9 p.m. Monday to Thursday, noon to 10 p.m. Friday and Saturday, noon to 8 p.m. Sunday. $8, kids $7. 10 a.m. to 9 p.m. daily, weather permitting. $8, seniors and children $6.